The first product ever made for sale was Smudge Spray back in 2010. The label may have changed since then, but the formula has remained the same. In 1991, during a constant battle of trying to lose weight, a co-worker recommended a book called “Fit For Life” by Harvey and Marilyn Diamond to Bonnie Landsee. At 19yrs old, Bonnie had never set foot in a natural health food store but in her quest to find the obscure ingredients listed in the recipes in the book, she set foot into her first natural health food co-op and felt instantly at home. This began her journey with herbs, essential oils, crystals, Reiki, and massage therapy. She has studied Reiki and became a Reiki Master Teacher, certified aromatherapist, and certified master herbalist. She also attended schooling for massage therapy and was a licensed massage therapist until 2014, when she decided to dedicate her time to creating natural bath, beauty, and wellness products. 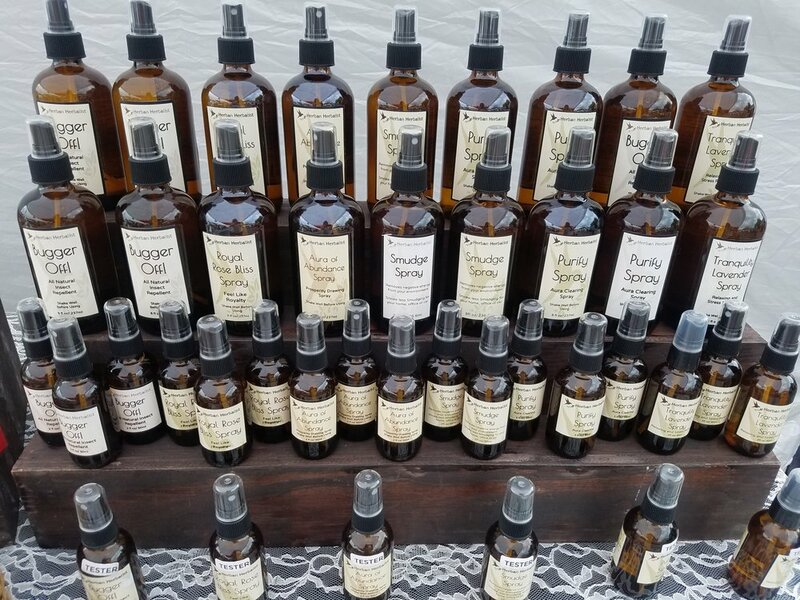 Her spiritual practice of Sanse and education in herbs, essential oils, energy work, and the human body make her formulations unique and all encompassing of total wellbeing. 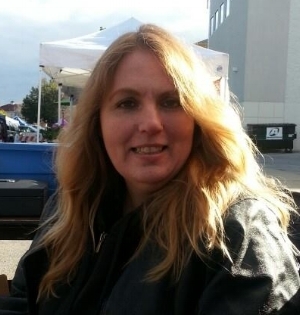 Bonnie Landsee, October 2015 at the Waukesha Farmers Market.